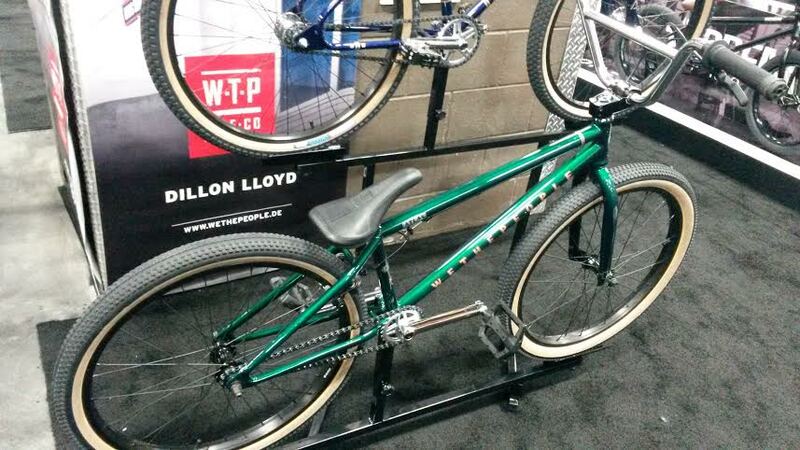 As mentioned in the previous post, I had made a beeline to the We The People (WTP) booth at Interbike because of earlier rumors that had said WTP was going to offer two cruisers in their lineup for 2016. I was intrigued…and half-concerned…that they would change up the 24″ Atlas. It turns out that the WTP folks decided to stick with a good thing and left the spec/geometry pretty much the same as last years…essentially a long, “trails-y”-feeling 24. What has changed is the look of the WTP Atlas. The black and red ano colorway of the 2015 has been dispensed with. 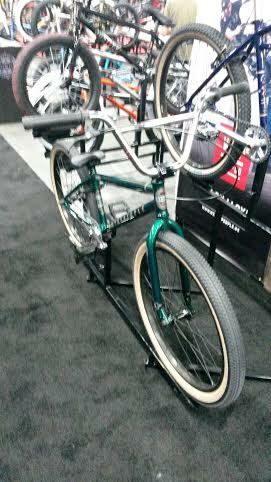 A “bottle-green” (trans) green frame & fork, complimented with generous helpings of chrome and black, and rounded out with tanwall Kenda Small Block 8 tires. This combo looks really nice. 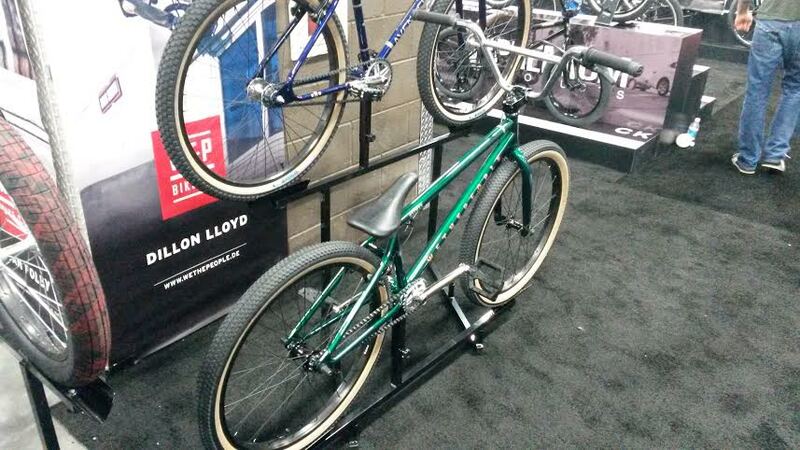 Not much more to say about this bike, other than this is a real looker and ready to shred right out of the box. If you’re someone that doesn’t like the higher BBs on other modern 24s…but want something more responsive than “traditional cruiser geometry”…this might be the bike you want to take another look at. Frame/fork and bars are full cro-mo.